Crossbows, new arches and fireworks as projectile launchers. 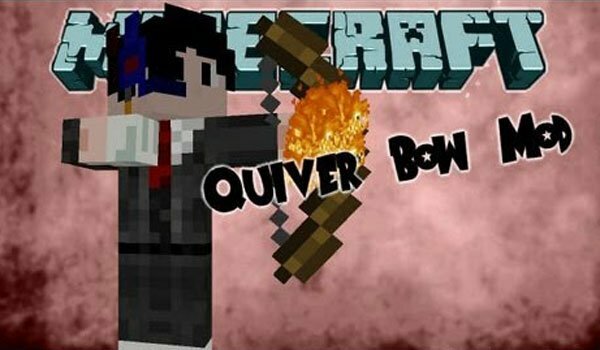 QuiverBow 1.7.10 and 1.7.2 is a mod that adds new possibilities for lovers of the arches of Minecraft, because it allows us to craft a quiver to attach the bow and arrows that won’t take up space in our inventory. Although this is not all, the mod adds a normal crossbow that can evolve to become a double shot crossbow. We also found a crossbow Blaze, an arc of Ender, Ender rifle, among other objects. Another function that adds the mod is to use rocket fireworks of Minecraft, to use as launchers for several weapons. How to install QuiverBow Mod for Minecraft 1.7.10 and 1.7.2? Projectiles, crossbows and new bows!